Are you ready to achieve the results you're looking for in your life? Stuck in Unhealthy Habits & Self-Sabotaging Patterns? Unfulfilled by Your Current Life Path or Career ? Are you feeling untapped potential that you don't know how to access? Frustrated with Repeated Failures & Inconsistent Results? Lacking the Tools & Resources to Achieve Sustainable Success? This program includes high-performance strategies utilized by the top performers around the globe. Once put into action these techniques will help you to manifest elite performance across all areas of life! You deserve to experience thriving success in all areas of your life. I so often hear that people are craving support, guidance, inspiration, accountability & community to help them get the results they want. Starting in December 2018, and continuing throughout 2019, you will receive 12 monthly, themed, instructional, inspirational video and audio recordings. We are going to dive deep into strategies to take your spirituality, relationships, health, emotional well-being and soul path to the next level of joyful, thriving success. Step by step, you will get the roadmap for success. Access content from the comfort of your home, anytime, at your own pace. Each month will include a combination of focused exercises, action plans, assignments, journal questions, checklists, next steps, road-maps, accountability checkpoints and empowerment tools to support the implementation of the concepts. Here's where we get it done! 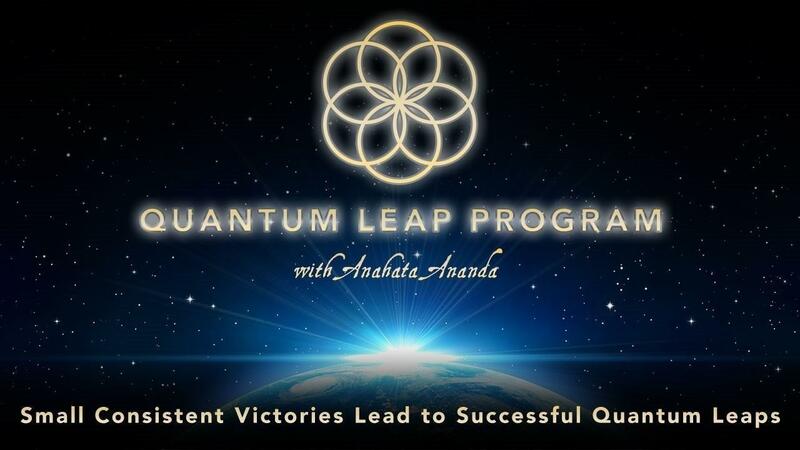 Enjoy exclusive access to our online Quantum Leap Program Facebook platform, to share victories, challenges and assignments, while building community connections and the option to create accountability partnerships. Surround yourself with other success-minded individuals to stay motivated. Build a network of support and accountability with others just like you! This 12-month, integrated program incorporates proven success strategies from the High-Performance Leaders in all arenas of life. Leveraging Informative Inspirational videos, strategic assignments and online support community, you will have the Vision, Roadmap, Tools, Support, Accountability and Motivation to Manifest Your Dreams into Reality!